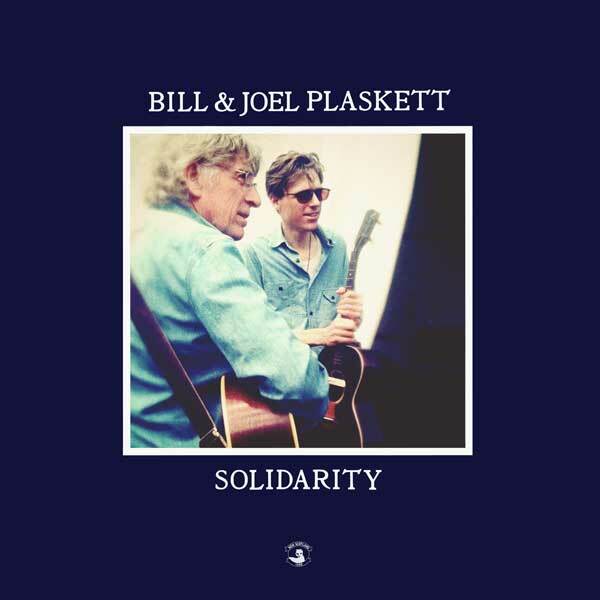 When Bill Plaskett and his son Joel Plaskett get together to write songs the result, as Bill describes it, is “a touch of the traditional mixed in with the new, and a lot of the unexpected, arrived at through experimentation.” The result is Solidarity, an album that welds Bill’s traditional folk leanings with Joel’s long and acclaimed history in the Canadian rock landscape. Both Bill and Joel’s tracks on Solidarity arrived here from many different eras, sources, and stages of life. Bill wrote “No Sight Compares” in the early 1970s about a troubled relationship and signs from nature that everything would work out fine, while Joel’s “The New California” was written this past summer at a hotel in Yellowknife where “the Alpine trees and perpetual sunlight on the Great Slave Lake made me think of some magical part of California I dreamt up,” claims Joel. While “We Have Fed You All For A Thousand Years,” “Jim Jones,” and “On Down the River” are older songs, each heard many times on the Plaskett family tape player and now revisited by father and son together, other tracks on Solidarity pay homage in a less direct manner. Both “Dragonfly” and “Up In The Air” give a nod to some of Bill’s guitar heroes, Bert Jansch and Richard Thompson, and one of Joel’s favourite songwriters, Al Tuck. Not all the cuts on Solidarity required as much forethought though. “Help Me Somebody Depression Blues” was recorded spur of the moment with Bill on acoustic guitar in one of the studios and Joel on drums in the other. Divided by a window but connected through headphones, the two hammered out the track, VU meters in the red throughout “in one take, or was it two?” wonders Bill. Beginning March 15, Bill and Joel will embark on the Solidarity Tour across Canada, performing their collaborations and other songs from Joel’s vast catalog. Peterborough fuzz-folk duo Mayhemingways is also along for the ride as opening support and performing with Bill and Joel. Full tour dates can be found below, with more tour dates to be announced shortly.